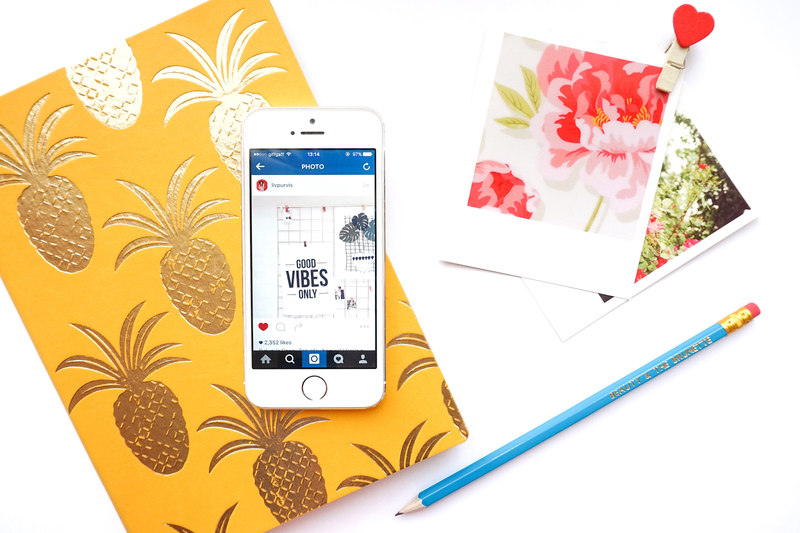 Everyone seems to be panicking about Instagram's new upcoming algorithm. The possibility that it will now be even harder to attract likes and the fear of missing out on your favourite users photos sparked a frenzy of 'Turn Notifications On' posts on the platform yesterday. In reality, as the new algorithm works off your behaviour on the platform, the accounts you interact with the most should still appear frequently on your feed. But let's be honest here, nobody is entirely sure whether they're going to get buried by the new changes or not. The desperate plea by many to encourage their followers to receive a notification every time they upload a new photo is all well and good but our phones are already saturated by notifications without Instagram adding to the mayhem. If you are planning on pushing the 'Turn Notifications On' button you definitely want to be very selective about who you push it for. For me, I'm limiting myself to only receiving notifications for close friends and those accounts that truly inspire me and cheer me up every day. So I thought I'd create a list of my Favourite 4 Instagram Accounts that I'm so obsessed with that even the idea of adding to the notification hell doesn't alter my love for them. Gemporia is a company I've been hearing more and more about over the past few months, whether it's from fellow bloggers or in the press. I've always been the type of girl who loves simple and delicate jewellery and when it comes to gemstones I turn into a complete magpie. Gemporia is basically like an online treasure chest for people like me! 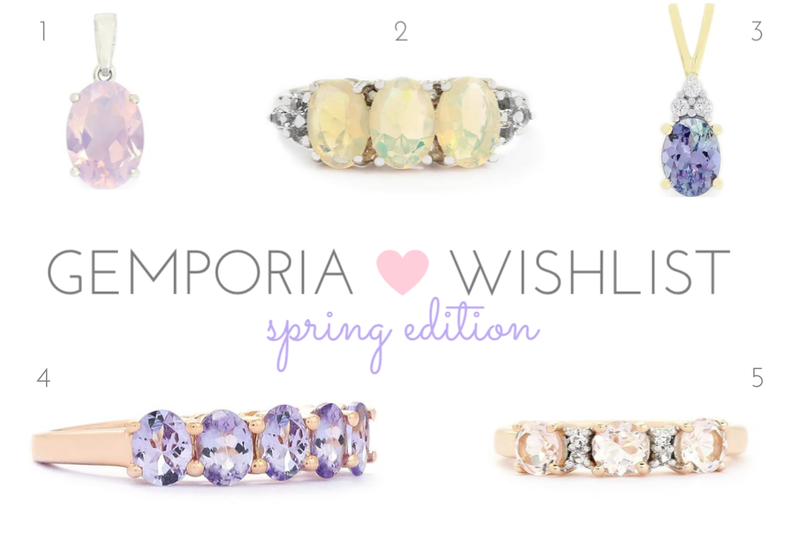 I like to browse the site every so often and pick out a few favourites that I could spoil myself with if I'm ever feeling spendy so when Gemporia contacted me and asked if I would like to put together a Spring Wishlist for them I already had a few of the pieces featured above in mind. 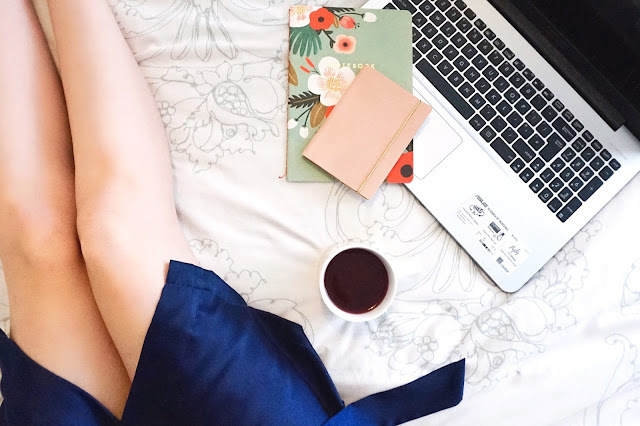 For those of you who are fairly new to my blog, you might be unaware that I've been receiving IPL Laser Hair Removal on my lower legs for quite some time now. With my 6th and final session booked in for this Saturday I thought it was about time that I wrote a little update for you all to document the results I've been noticing throughout my treatment. If you're interested in learning about how laser hair removal is carried out, what I personally think of the pain and how to care for the area after treatment I really recommend you read my original post which I wrote after my first treatment. If you've read my blog before you're probably already aware that I'm bareMinerals's biggest fan. Whenever they release anything new I get incredibly excited but it's rather rare that the rest of the beauty world get as equally excited along with me. But bareMinerals's latest release, the bareSkin Complete Coverage Serum Concealer, has caused quite a stir in the past few weeks and it seems that every beauty blogger has been raving about it. Naturally I had to see what all the fuss was about so I picked mine up a few weeks ago in the lightest shade, Fair, for £22.00. After falling in love last year with the Correcting Concealer from bareMinerals I had seriously high expectations for this new release and I have to admit that the hype that surrounds the bareSkin Complete Coverage Serum Concealer is definitely deserved. Whilst the Correcting Concealer is ideal for covering blemishes due to its thicker, creamy consistency the new bareSkin Serum is the perfect multitasker: it covers blemishes and discolouration wonderfully but it really excels in its ability to hide dark circles. The standout element of the bareSkin Serum Concealer is the consistency, it's probably the thinnest and most silky concealer I've ever used yet no coverage is compromised. And a little really really does go a long way with this. You wouldn't think it due to how thin it is but the Serum Concealer provides such high coverage and it layers up beautifully too. Due to the formula being so light it also leaves the skin looking natural, fresh and flawless without any of that dreaded creasing which always seems to happen under my eyes! Can you tell that I really love this yet? I honestly think it might be my new holy grail concealer.